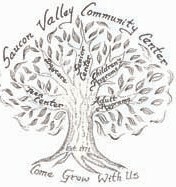 Mission Statement: The Saucon Valley Community Center is a not for profit organization whose mission is to identify the needs of the community and to service those needs through social and educational programs. Founded in 1971, we serve the borough of Hellertown, Pennsylvania and the surrounding municipalities. Our management team consists of two executive directors who oversee a staff of 20. A total of 66 percent of our staff have completed or are enrolled in an early childhood degree program or related field of study. The center is governed by a 15-person volunteer board of directors.